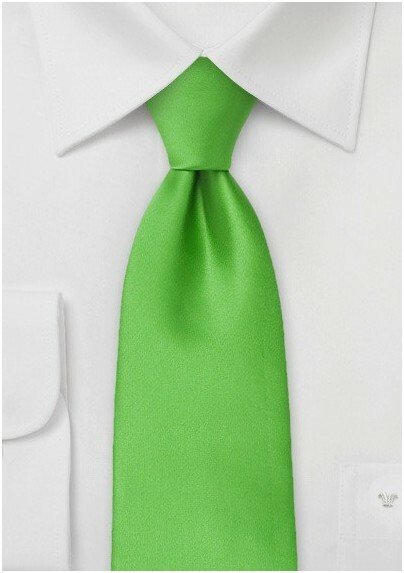 Go bold and bright with this modern and fresh kelly green necktie. The color is vibrantly youthful and uniquely versatile. 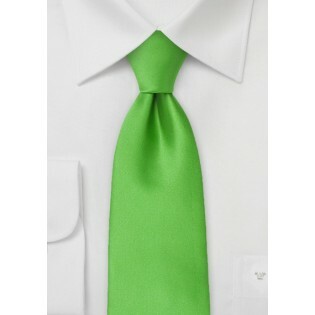 This tie is handcrafted from a stain resistant microfiber and is designed by the Puccini Design Group. There are a number of ways to wear this designer tie. It pairs well with a black tux and adds a dose of color to celebratory occasions. It also looks cool and chic when paired with a lightweight dress shirt and twill pants.